The case is due to be heard at Brighton Magistrates Court on 8 December. The action follows the failure of McAleer & Rushe to comply with a planning enforcement notice requiring them to build the playground near Brighton Station. 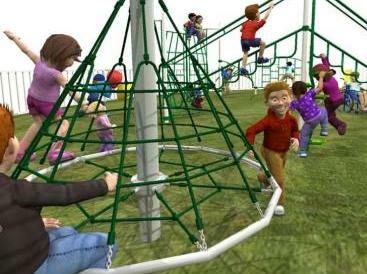 The requirement and obligation to build a playground was a condition of planning permission for a scheme which includes a hotel, office and homes. Maybe the Council will be better served by suing for the costs of the playground (along with punative damages). They might well want to consider the Health and Safety record of McAleer & Rushe. However, it seems questionable, considering the auditor comments on the viability of McAleer & Rushe in their latest annual report as to whether the firm might be able to pay. In which case it might be interesting to look more closely at some of the questions posed on another post on this blog. 10 Portman Square | 2-14 Baker Street Campaign This blog makes no claim of association or representation of the development known as 10 Portman Square | 2-14 Baker Street in London. This blog is a communication tool only and serves to highlight issues affecting members of the public and residents in the vacinity of that site. The development site at 2-14 Baker Street (10 Portman Square) was acquired by McAleer and Rushe in 2005 with a loan from Bank of Ireland. The price paid was £57.2m. Unable to repay the loan, the debt was designated for NAMA. Before NAMA assumed the debt, McAleer and Rushe sold the site back to British Land in 2010 for nearly £30m less than it had paid. The deal appears to have benefited McAleer and Rushe in a number of ways that may not be realised financially by NAMA. This includes a share of the development profits and the awarding of the construction contract to McAleer at a time that their auditors (KMPG) suggest that this company may not be "a going concern". According to McAleer & Rushe's latest available accounts (filed 2011) all the company's debts are "payable on demand" suggesting that they have not met their repayment schedule on their loans. There are ongoing issues at the site at 2-14 Baker Street (10 Portman Square) affecting members of the public and local residents. Members of the public and local residents have been put at risk many times and, too date, neither British Land or McAleer & Rushe appear to have faced no real consequences from a regulatory or legal persective. McAleer & Rushe have resorted to threats, harrassment and intimidation towards local residents objecting to unsafe practices and affected by the practices employed on and around the site. There have been a number of safety failures leading to deaths on other McAleer & Rushe sites in the UK. Full information and supporting evidence is available on request to interested parties. This entry was posted in 2-14 Baker Street, Brighton & Hove City Council, Brighton & Hove Council, Brighton and Hove, British Land, Building Site, Child Safety, Children, children's playground, Commercial Development, Construction, HSE, Legal Action, London, McAleer and Rushe, Mob, NAMA, New England Quarter Development, Playground, Retail Development, Uncategorized, West End, Westminster and tagged 10 Portman Square, 2-14 Baker Street, Baker Street, Brighton & Hove City Council, Brighton Magistrates' Court, Children, children's playground, Construction, construction site safety, Councillor Phelim MacCafferty, Enforcement Notice, Health and Safety Executive, HSE, Legal Action, Magistrates' Court (England and Wales), McAleer & Rushe, NAMA Wine Lake, News, Northern Ireland, Playground, Retail Development, West End, Westminster City Council. Bookmark the permalink.